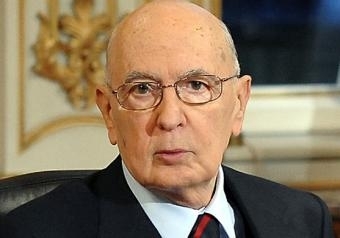 Rome, Nov 4 : Italy will not stop "working hard" for the return of the two Italian marines facing trial in India for murder, Italian President Giorgio Napolitano said Monday. "The most affectionate greetings to our marines, whose quest continues far from Italy. Please rest assured that we will not cease working hard to bring them home," Napolitano stated. His reference to Italian riflemen Massimiliano Latorre and Salvatore Girone came in a presidential address to mark Italy's National Unity and the Armed Forces Day. The two marines have been charged with murder over the shooting of two fishermen off the coast of the southern state of Kerala in February last year while guarding an oil tanker. Latorre and Girone say they mistook the fishermen for pirates and Italy claimed the incident took place in international waters, meaning India should not have jurisdiction over the case. The case sparked a major diplomatic row between India and Italy when Rome in March reneged on a sworn affidavit and refused to send the marines back to India to stand trial after New Delhi allowed the pair to return home to vote, only complying when India promised they would not face the death penalty.